We have written over 500 questions below to help students pass the WSET Level 3 Award in Wines. The 500+ questions include multiple-choice and short written answer exam questions, based on the latest WSET Level 3 syllabus for 2019. The Level 3 exam is assessed in two parts - a combined theory paper consisting of 50 multiple-choice questions and four short written answer questions, and a tasting paper. A mark of 55% is required in both parts to pass. Please note some of the questions are designed to help students revise the syllabus, while others are more in keeping with the exam format. Available for you to trial, we have a Free set of multiple-choice and short written answer questions covering Viticulture. In addition, all of our exam questions are freely available to students studying the WSET Level 3 Wine Course with ThirtyFifty (we are an Approved Programme Provider for the WSET). 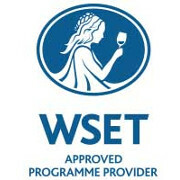 WSET LEVEL 3 Award in Wines: All Multiple-choice & Short Written Answer Questions. Valid for 6 months. The order of the questions is based on the order of the course as recommended by the WSET. Other course providers may deviate from this. In general you can attempt the questions after you have read the relevant Chapters. There is a Mini Exam designed to be taken once all material up to Chapter 25 is complete. This is typically on Day 2 if you are doing the course over 5 or 6 Days. At the bottom of this page are 3 multiple-choice papers (50 questions each) created by ThirtyFifty, as well as Trial Exam papers from WSET. These questions are in the style of the final exam and give students a chance to get a feel for the exam. Students should be able to sit this test after completing Chapter 25. Exam style questions differ from normal questions in that they tend to cover a range of chapters, rather than the more narrow questions that follow each chapter. These questions have been written by ThirtyFifty and cover the full WSET L3 Award in Wines course and should be attempted towards the end of the course. Tools to improve your tasting skills and pass the WSET L3 Award in Wines Tasting Paper, from £10. I thought the questions were excellent, an extremely valuable revision tool. They really helped highlight areas I thought I had revised and understood but clearly had not, which has enabled me to focus on key areas to revisit and study before going into the exam... I think it is a great resource and an essential revision aid for any WSET 3 students wishing to gain a competitive edge and successfully pass the WSET 3 exam. I just wanted to say a big thanks for your great attitude and professional, straightforward tuition which helped me pass the exam with distinction. It was a great course with a happy end!